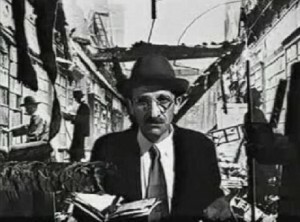 Walter Benjamin was an incisive commentator on everyday life, particularly spaces and objects. In the final part of his eight-part series, Andrew Robinson discusses a range of Benjamin's observations on everyday life - including his writings on cities, his discussions of character, and various everyday ephemera - and surveys the German thinker's relevance today. Many of Benjamin’s articles read like flânerie reports. Focused on a particular city, his reports are part-psychological, part-cultural, part-geographical. Often, he is reflecting as much on his impressions and the memories or thoughts they summon as on the places he visits. He makes big, sweeping statements about the life of particular places, the constitution of individuality or collectivity there, and the ways in which architecture, street layout and routines of everyday life construct a particular, largely unconscious, local experience. It is as well that Benjamin never extended his travel writings beyond Europe, for he would surely stand accused of Orientalism today had he done so. He makes sweeping generalisations about social and physical spaces and their general historical significance. Yet in some regards, he prefigures later practices of autoethnography and reflexive writing. He views travel as a way to escape habitual affective or emotional states and create new ones. In some ways, he is writing a subjective account of how spaces affected him, rather than an objective description of their structure. One of the areas Benjamin sees as varying between cities is the degree of individualism or collectivism. Berlin is characterised by rigid separations between public and private. It forms the backdrop to the other accounts. On the Soviet Union, Benjamin writes of a time over-full with activity, in which private life and the free intellect have been abolished through a collectivisation of life and space. He terms the Soviet Union a ‘caste-state’, commenting both on the ‘new bourgeoisie’ and the emarginati – street traders who flee at the approach of the police, gangs of war-orphans, beggars. It is, he argues, inordinately difficult to do or have anything, unless it is part of the collective plan. His trip to the Soviet Union probably cemented his drift from orthodox Marxism. This particular kind of collectivism clashes sharply with Benjamin’s inclinations. Naples, too, is deemed collectivist, but in a different way. It is spatially and temporally porous. The home spills onto the street and vice-versa. Private acts seem laced with communal life. The city seems either to be being built or falling into ruin. Porosity provided conditions for improvised movement through space. This provided a basis for power-networks such as the Mafia, the church and the fascists – each themselves also porous. Naples is perhaps emblematic of how Benjamin would have viewed peripheral or marginal cities. Hecht and Simone write in a rather similar vein about African cities, and the ‘invisible politics’ they contain. The Paris Arcades are a favourite site of Benjamin’s analysis, the focus of his Arcades Project and other works. Arcades are forerunners of today’s shopping centres or malls. They are covered walkways with shops along the sides. According to Benjamin, arcades, with their extensive use of glass, break down public-private divisions. The shops fuse with the thoroughfares. They express a particular moment of bourgeois orientations, concealing their metallic structures in classical designs. The entire space is part of the spectacle of consumption – not simply a container for it. A similar discussion of today’s malls can be found in the third chapter of Bauman’s Liquid Modernity. The arcades are connected to the rearrangements of space which were pursued in the nineteenth century. The period of the Napoleonic Empire is seen as ruled by a kind of state terrorism in which the state is an end in itself. It was also an era when art and culture were on the verge of being commodified, but ‘lingered on the threshold’. From this era came the arcades, interiors and private life, dioramas, exhibitions, early photography, ‘art for art’s sake’, functional architecture and a variety of other phenomena. Benjamin sees this era as producing forms of bourgeois culture which already seem to be ruins even as they are built. In this era (equivalent to the late Victorian period in Britain), architecture was often seen as a solution to social problems. For instance, Fourier’s utopianism sought to design space in a way which would render morality superfluous. Fourier’s phalanstery, or utopian commune, was to be a space of arcades. Haussmann’s transformation of Paris roads was also utopian, but ineffective. It was meant to head off street conflict – but failed to prevent the Paris Commune. In some respects, this prefigures what would be called gentrification and real-estate speculation today. Haussmann’s approach is linked to the rise of stock-exchange speculation, as a form of gambling. Its effect was to alienate Parisians from their own city. Another parallel today would be practices such as Situational Crime Prevention. The Haussmann approach can be seen as a forerunner of today’s gentrification and securitisation of spaces. Once more, since the 1980s, this has occurred in a period of real-estate speculation. The kind of psychogeography prefigured by Benjamin is taken further by authors such as Lefebvre and the Situationists. Groups based on such approaches still exist in a number of cities, including a former unit in Nottingham. Microsocial flâneurs might also include people such as Free Runners, scavengers of abandoned buildings, explorers of university ducts, and children who reterritorialise spaces for play. It has also been suggested that early/alternative Internet use amounted to ‘virtual flânerie‘. One major difficulty with psychogeography today is that many spaces are designed to exclude, or be unattractive to, transient loiterers (as discussed by Bauman and Steven Flusty). Some of the snippets in One Way Street deal with the experience of writing and other aspects of life. This is where Benjamin’s instructions for authors appear. In another fragment, Benjamin encourages the (then, as now, largely obsolete) act of copying a book by hand. Just as walking gives better knowledge of terrain than passing through by vehicle, so copying a book gives better knowledge than reading it, opening the soul to the book. In another snippet, Benjamin recounts how an unfamiliar area became comprehensible after a friend moved there, as if the familiar presence was a searchlight cutting through the difficulty. Another fragment discusses the reconstruction of physical spaces by children. Children are instinctively drawn to building sites, garages and gardens, recognising the waste-product of work as directed to them. They produce their own small world through play, by rearranging materials in new relationships. Toys and collected items are like a treasure hoard – to “tidy up” is to demolish a powerful, enchanted edifice. In childhood, a book is entered with limitless trust, and entices one further and further with its peacefulness. Reading is likened to mysticism: it is like seeing meanings in snowflakes. Benjamin feels a need to recover such enchantment. Yoga is also referred to in this context, as a means to recover a similar mental state. Another fragment refers to the differences in everyday lives of dissidents and conformists. People antagonistic to the present system subject their lives to the norms of the future society they wish to create. In contrast, supporters of traditional values often live their lives in stark contrast with their ideals. Benjamin also likens etiquette to lying. And he argues that a boss’s office ‘bristles with weapons’. The various interruptions and signifiers of hurry are ways to interfere with attempts to get a hearing. Some fragments discuss Benjamin’s views on human experience. One’s past is an ‘abortion sprung from compulsion’, like a statue without its limbs, which is now a marble block from which to carve the future. He also proposes an unusual view of the good life: ‘To be happy is to be able to become aware of oneself without fright’. This is connected to the question of the unconscious: one will be afraid of the image of oneself if it contains repressed content, or unconscious aspects of a perspective one cannot see critically. Benjamin also argues that a superior lifetime is characterised by a ‘grand period’, rather than fragments. The irony here is that Benjamin’s own work is fragmentary and disparate. Elsewhere in his work, he seems to celebrate this kind of fragmentary writing. Perhaps he feels that ‘grand periods’ are no longer possible today. In “Paris: Capital of the Nineteenth Century”, Benjamin discusses the construction of commodity fetishism. Displays such as World Exhibitions were used to celebrate distraction, the entertainment industry, and the commodification of life. The refinement of commodity fetishism was increasingly demonstrated. People entered such spaces to savour their own alienation. Arguably, it was this kind of presentation of consumerist ideals which won the Cold War for America. For Benjamin, the general pattern is one of alienation and ruination. For instance, fashion is seen as a means to subordinate living bodies to the unliving world. He also discusses the rise of the ‘interior’. The private living space emerged in this period as an independent space, distinct from spaces of work. This space was arranged so as to maintain people in their illusions, in contrast to the financial and productive spaces where they related to reality. The private space became the ‘interior’. Benjamin is both fascinated and horrified by over-furnished bourgeois ‘interiors’. He sees them as absorbing and consuming their inhabitants. Also, they leave no space for death. They create the situation where death is excluded from everyday life. Although it arose from alienation, this space also became a refuge for other values, such as art and collecting. Collectors sought to strip objects of their commodity character by replacing exchange value and use-value with connoisseur’s value. They are saviours of objects, preventing their loss. Benjamin’s essay Fate and Character critiques popular psychology, and further explores the idea of fate. Fate and character are often linked causally, since one can supposedly deduce someone’s fate from their character and circumstances. Benjamin maintains, however, that they belong to completely different orders of being. It is impossible to distinguish a core of the person (character) and an exterior (fate). Rather, people interact actively with the world. The inner and outer world are interchangeable. This makes it impossible to causally relate character and fate. For Benjamin, neither of them are related to individual responsibility – fate because it suggests an impersonal form of guilt, character because it suggests an escape from normative judgement. Fate is perceived by those who seek to read it as present, rather than future. It should not be associated with subjective guilt (in the sense of responsibility), as it often wrongly is. It is rather a product of discourses of law. Ultimately, Benjamin believes that legal guilt is nothing more than misfortune. Law is not connected originally to justice. Rather, it is a residue of a ‘demonic’ view of the world in which people are cast into misfortune by external forces. Judges do not perceive, but rather, dictate fate. In tragedy, heroes are able to breach such a demonic fate. Character is mistakenly seen as a moral nature which can be perceived by a sufficiently perceptive person. In fact, it comes from the field of comedy. In comedy, particular character-traits are often presented in very crude ways (think of Brittas or Alf Garnett). According to Benjamin, character is unfolded in comedy in such a way as to overshadow all else. Yet this is not a matter of blame or guilt. Rather, it is akin to the hero who defies fate. It is linked to freedom and individuality as the unfolding of a particular logical process. As a result, character refers to certain ‘basic concepts’ which should be ‘morally indifferent’ – different psychotypes, thinking styles, or forms of life. Benjamin thus gives ‘character’ a positive spin, related to the epic hero. In ‘The Destructive Character’, Benjamin praises a certain type of personality as the root of all obligations and binding resonances. The ‘destructive character’ knows only the activity of clearing away and destroying current commonplaces, making them open to practice. S/he makes the world simplified by assessing it according to whether it deserves destruction. The question of what is to replace it is not important – someone is sure to need the empty space. S/he also ‘sees ways everywhere’, because nothing is permanent. The destructive character is counterposed to the ‘etui-man’, who seeks comfort. “V” in V for Vendetta would be an iconic example of the ‘destructive character’. Benjamin’s work is fragmentary, diverse and difficult to tie together. As a political writer, the implications of his work are clearest in his Theses on History and Critique of Violence. In the latter, he suggests that state power and ‘legal violence’ are decisively compromised by their association with a fatalistic ontology. Against this model, he counterposed a diffuse, expressive type of social sanctioning, and a moment of total rejection which will rupture state power. In the former (and various related texts), he posits the need for a ‘messianic’ moment which will rupture the current sequence of events and blast history out of homogeneous empty time. Elsewhere, he uses similar concepts to theorise language, culture and the arts. His work on language largely repeats his work on the state: language can be divided into bad, judgemental and instrumental uses connected to fate, and good, nominal and relational uses connected to the divine. His work on culture, and his critique of fascism, counterpose the aestheticisation of politics, based on spectacle, to the politicisation of art, to produce ‘illuminations’ or ‘dialectical images’. In his work on method, he calls for the revelation of illuminating ‘truths’, instead of cumulative analyses. These discussions are not far removed from those of his more explicitly political works. The images produced by a politicised art are designed to produce the kind of messianic rupture which would generate law-destroying violence. The positive functions of language and mimesis are designed to actualise a messianic world, in continuity with such ruptures. Benjamin’s work is confusing in its implications, because of the way it moves between conceiving transformation as a total, incommensurable rupture and as a series of microsocial gestures and practices such as collecting, allegory, Surrealist art and non-judgemental language. The relationship between the two types of transformative practice is unclear. Is a dialectical image identical to a social revolution, or is it a means to produce it? Is Benjamin a believer in total refusal and insurrection, like Sorel, Bakunin and Bonanno, or in subterranean, everyday ‘evolutionary’ transformations, like Colin Ward and James Scott? Is the drastic rupture Benjamin proposes a political revolution, a change in perspective, or a rearrangement of everyday relations? Do people first go through a personal break, seeing the world from a ‘divine’ perspective, and only subsequently make a revolution, when a critical mass of revolutionaries is reached? I’m not sure that any simple answer can be reached to these questions. Perhaps Benjamin is proposing some combination of insurrectionary and evolutionary approaches, in which a personal or small-group transformation through dialectical images and illuminations creates a subjectively changed world which prefigures social transformation. Perhaps one can see, or even be part of, a present revolution only if one is already seeing in a messianic way. I’m really loving this series of articles. I was wondering if you were planning on doing any pieces on Adorno? Yes, I plan to come back to Adorno at some point – I kinda missed him in the alphabetical sequence, but there’s no reason he can’t sneak in late.